Receiving Enrichment is part of any captive animal's life and it can benefit them in a positive way. 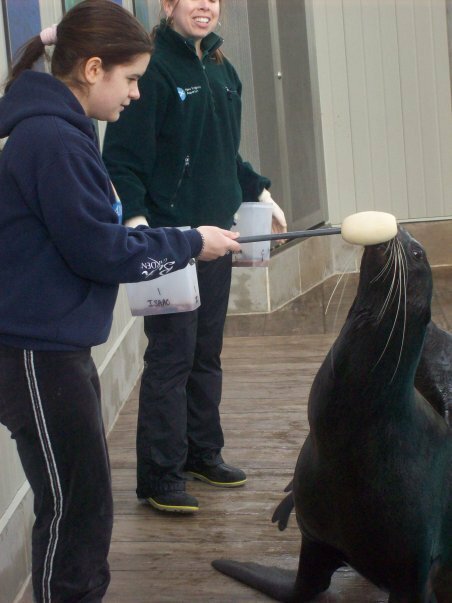 For seals at the New England Aquarium, their enrichment is of soft, long ribbons, fish, ice, water, and pet toys. Trainers and volunteers would decorate the pet toys by stringing up the large ribbons into each hole. For some of the toys, they would just tie a single knot at the sides. 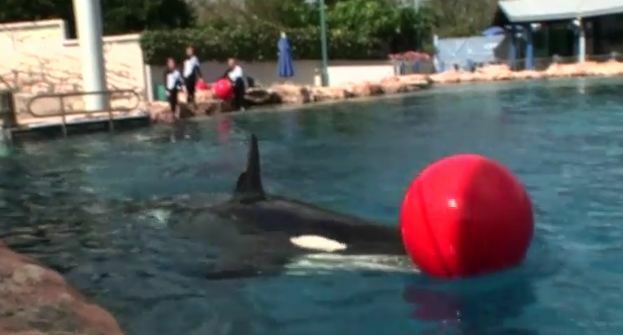 Killer whales at SeaWorld love to play with balls, barrels and disks. When the large objects are in the pool, the whales will push them around like crazy. However, they love it the most when the trainers are playing with them. This enrichment is also provided to various marine mammal species at other marine life facilities too. 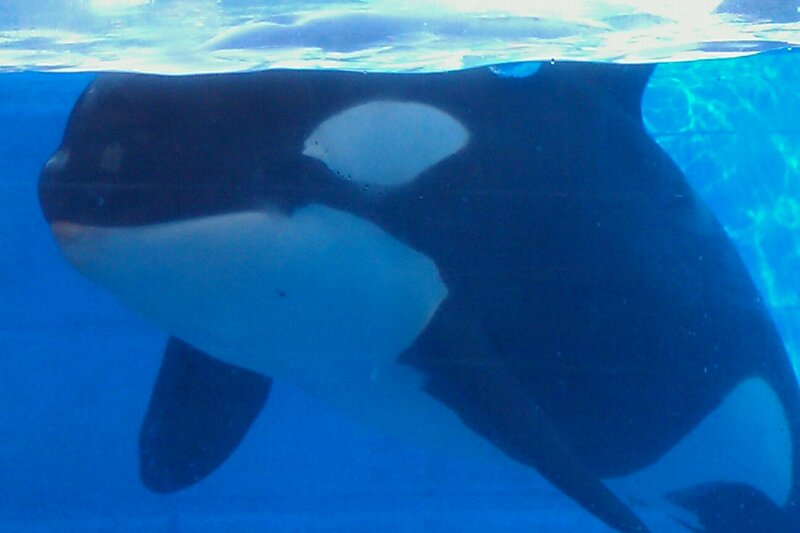 At some marine life facilities, marine mammals like Winter, are provided their very own floating bed!! The animals love to lay on them. Some, like Winter prefer to swim around on it while others, will just rest on it. 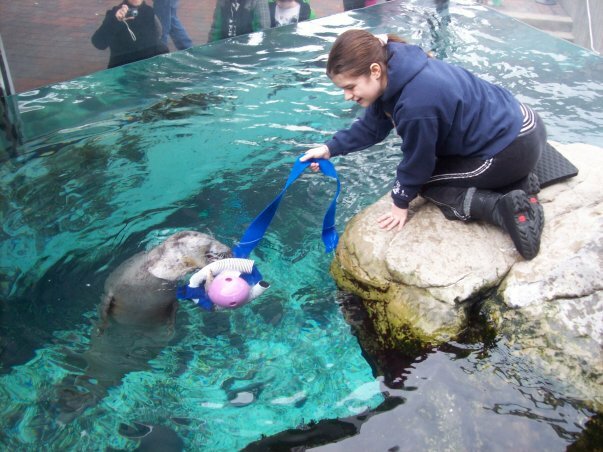 I hope this guide on enrichment will help you out on the purpose of enrichment for marine mammals in human care and what various toys they are given. However, but you must keep in mind that before any object is given to the animal, veterinarians must evaluate them and determine if they can be given to an animal. Big thanks to Kelly Leigh Anderson-Ahearn for giving me this idea on writing a blog entry that focuses on enrichment and different examples of certain marine mammal enrichment. Thanks again Kelly. People have interacted with animals and have modified their behaviors for more than thousands of years. 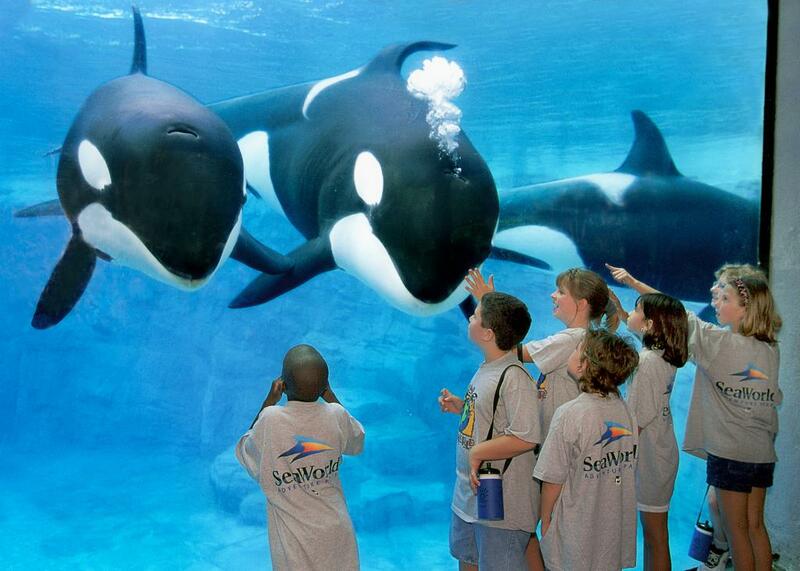 However, the training of marine mammals is relatively the most recent concept of animal training and care. While people have been training animals for thousands of years, marine mammal training is still new in the world of animal training. 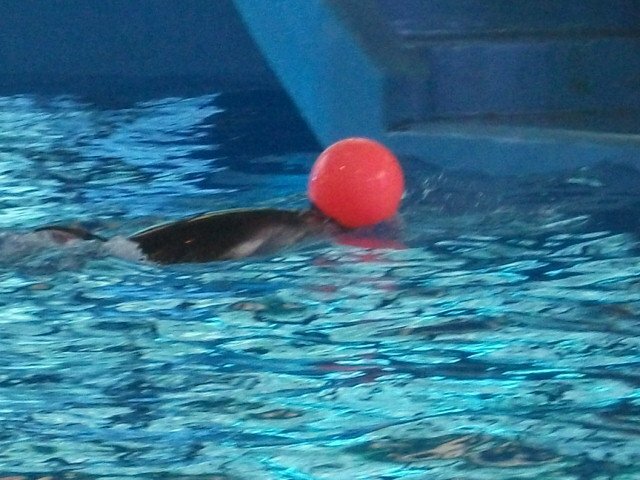 This site will focus on how dolphins in human care are trained. 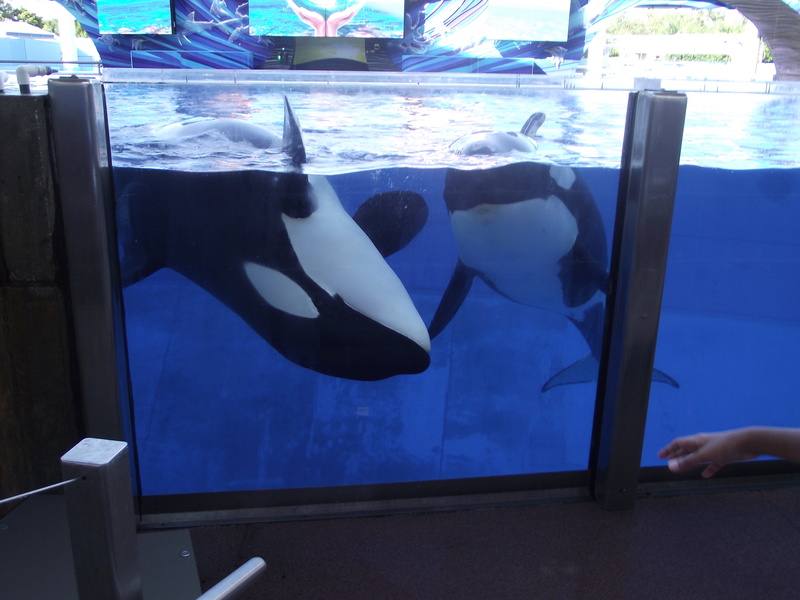 Dolphins and other marine mammals in captivity are trained for a different number of reasons other than to perform in animal shows. 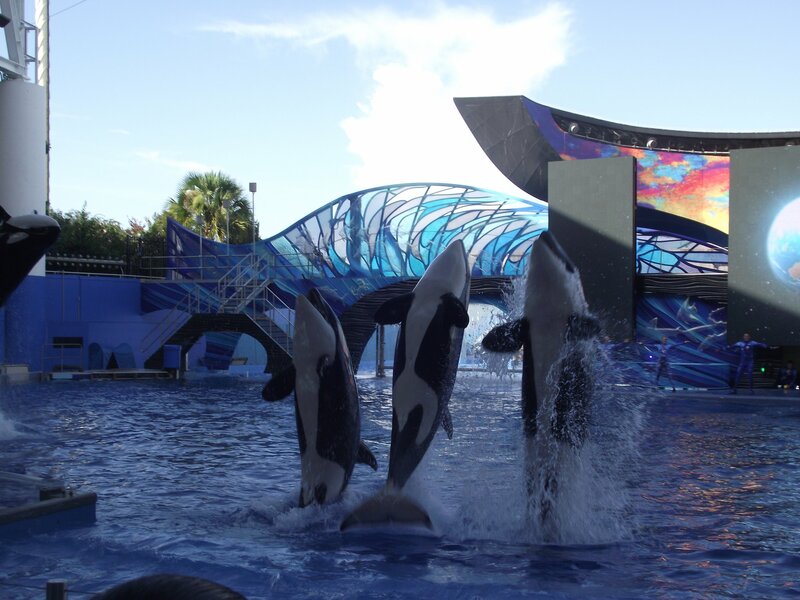 First and foremost, one of the main goals of marine mammal training is to promote animal husbandry. This concept focuses on medical methods and practices that are used to monitor the health of captive animals. Trainers have structured routines that would allow them to maintain animal health through observation and medical examination. 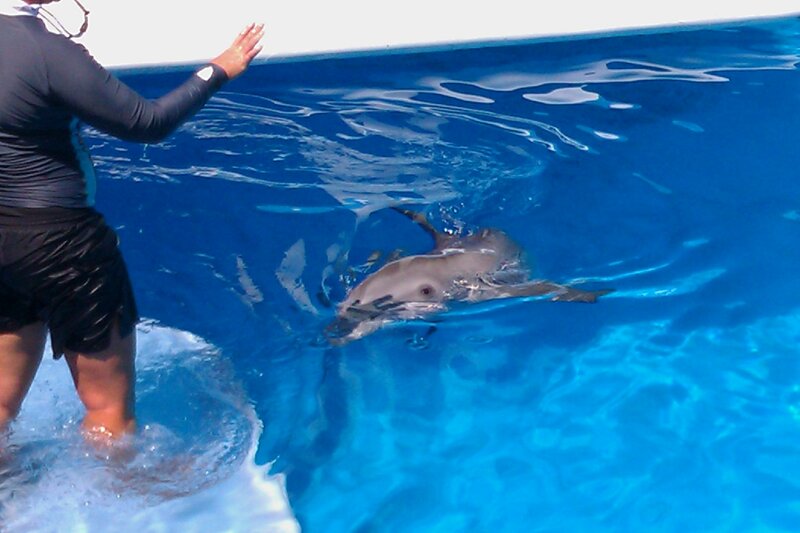 Secondly, Another purpose for marine mammal training is to promote physical and mental stimulation. When animals do physical training sessions for at lest three times a day, they are getting exercise out of these sessions and it keeps them both in fit and healthy throughout their lives. Finally, one of the main reasons why marine mammal training is important is because researchers are just beginning to understand both the needs and capabilities of marine mammals and other marine life we all share this planet with. By observing and communicating with them, both researchers and trainers alike are understanding the secret lives of these amazing animals by understanding how they think and adapt in this ever changing world. Marine mammal training has it’s benefits for the animals and the people who learn and care about them each day that may help those who study them find a way to one day protect their wild counterparts for generations to come. It can take several years to build a trusting relationship with any marine mammal weather if it's a dolphin or and orca. 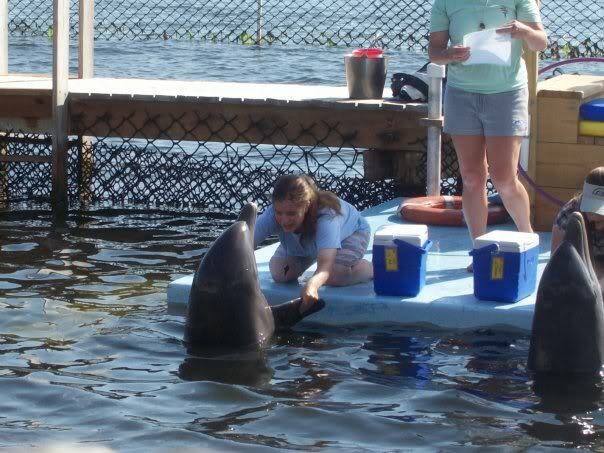 I am seen trying to build a trusting relationship with AJ, a 23-year-old Atlantic bottlenose dolphin at Dolphin Research Center during a "DolphinLab" program in 2009. To successfully train an animal to do behaviors successfully, the trainer must build a long-term relationship with the animal they are about to train for such behaviors. These relationships can take many years to build up thus, it also involves building trust and cooperation in the process. Every animal the trainer works with has a very different personality comparing to the previous animals they had worked with in the past. So, building an human/animal relationship can be very challenging. Behavior: Any action that the animal does or response to a stimulus. Operant Conditioning: Behavior is determined by its consequences. Stimulus: A change in the environment that produces a behavioral response. Non-Reinforcement: Non reinforcement occurs when the target behavior is exhibited and there is no response from the environment. These acts produce neutral results and bringneither rewards nor punishment. Reflex: Unlearned, involuntary, simple responses to specific stimuli. Animal Intelligence: The ability of an animal to process information is based on it’s brain anatomy as well as the experience the animal has. Learned Behavior: A permanent change in behavior as a result of experience. Observational Learning: Occurs with no outside reinforcement. Animals simply learn by observing and mimicking. Training rewards are not limited to just food like it was in 1950's and 60's. As recently as the 1980's, training reward practices have been updated to include enrichment, and rub-downs. Every Training session, show, or dock and in-water interaction session may involve the six main training tools. No form of training is done by force. In fact, it's impossible to force any marine mammal to perform any task for you. All training methods are based on positive reinforcement. Bridge and Targeting: Shaping of behavior through use of tools that specify exact location and timing of desired behavior. Targeting: Pinpoints critical location or point of the behavior. Bridging: Pinpoints critical timing of peak of the behavior. Behavior Chains: A series of functionally related behaviors that when grouped logically, lead to the desired end-point behavior. 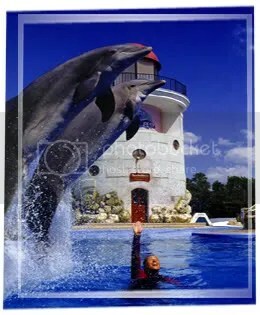 It's quite amazing to see how cetaceans in human care can simply perform a certain behavior just to receive an enthusiastic reaction from their trainers without ever getting fish after that because for the animals, it's simply just for the fun of it. 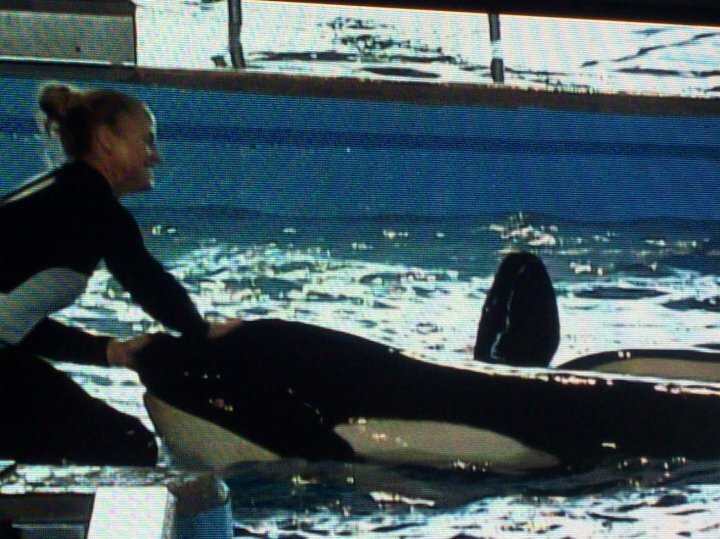 However, if the trainer does not react, then the animals will not perform. Positive Reinforcement:The Presentation of something pleasant or rewarding immediately following a behavior. Negative Reinforcement: A particular stimulus is removed after a behavior and causes the behavior to increase as the result. Continuous Reinforcement: Every task or target behavior is paid the same. Intermittent Reinforcement: Reinforcing only a fraction of the target behavior. Fixed: A set amount of reinforcer for a set amount of tasks. Variable: A random amount of reinforcer given in a random way. Discrimination: The tendency for learned behavior to occupy in one situation, but not in others. Extinction: When a behavior is not reinforced, it decreases. Eventually, it extinguishes all together. It is also a technique to eliminate all undesired behavior. 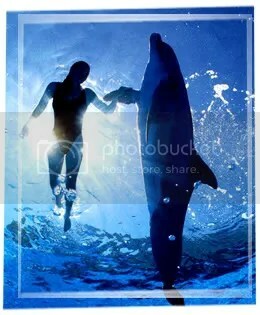 In order for a dolphin like Winter to learn and understand new behaviors, she must learn them in a step by step process. In Addition to training methods that are all based off positive reinforcement, animals learn various behaviors in a step-by-step manner that may take a expanded period of time. Time Out: Cessation of stimulus or response from trainer for some interval of tim. The Trainer’s place during an animal training session may involve understanding Individual personality characteristics, awareness of animal capability and limits (cognitive and physical) and sensing the animal’s mood. Shaping: A Process in which a behavior is learned in a step-by-step fashion. Approximation: Every step in a learning process that leads to a final goal of a trained desired behavior.